It’s a plaid, plaid world at Target. The retail giant is offering a whopping 360 items in assorted plaid prints come fall. Among all the checkered print is Target's latest designer collaboration with Adam Lippes. The Buffalo-born designer may not be well-known outside of fashion circles, but has had an impressive resume with stints at Oscar de la Renta and Polo Ralph Lauren. 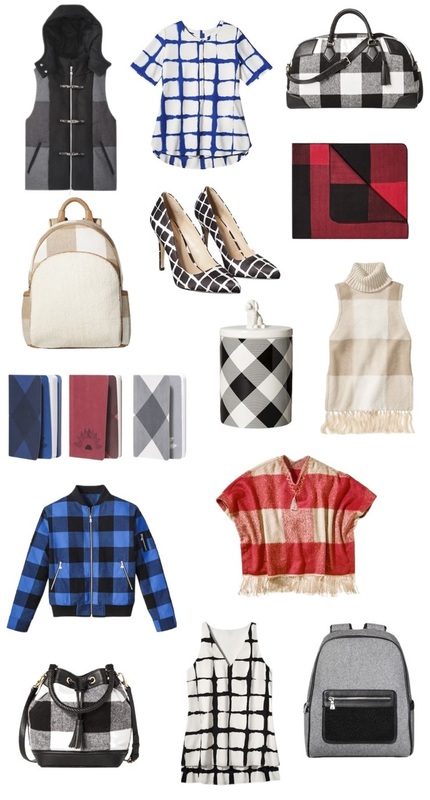 Lippes designed a 50-piece collection for Target inspired by none other than buffalo plaid. The items include women's and men's apparel and accessories, as well as home decor items. I’m always a sucker for plaid so these pieces really appeal to me. I’m especially fond of the toggle wool vest, window pane prints, duffle bags, and doggy accessories! The Adam Lippes collection will launch September 27th at all Target stores and on Target.com. Prices will range from $10 to $129.99.